Adam Dince is the Head of Organic Search (SEO) at Deluxe Corp. He joins the show to discuss what small online businesses can offer that big businesses can’t and how to better optimize keyword search. He also explains what teenagers can teach businesses about social media and why young shoppers are flocking to boutiques. Dince thinks Millennials are extremely important demographics for all businesses. He shares how businesses can reach and retain them. Narrator: Want to know what you’ve missed in the speaking of wealth series, well here’s your opportunity with Jason’s five book set. That’s shows 1 through 100 through digital download. You save $288 by getting this 5 book set. Learn all of the advance strategies for wealth creation. For more details go to JasonHartman.com. Jason Hartman: Hey it’s my pleasure to welcome Adam Dince to the show. He’s the head of Organic Search, or SEO, at Deluxe Corporation and he’s an expert in SEO and content strategy, and it’s a pleasure to have him here, coming to us from the twin cities in Minnesota. Adam welcome, how are you? Adam Dince: I’m doing very well. Thank you I’m glad to be a part of the show today. Jason Hartman: Yeah, yeah it’s good to have you on. So talk to us about some of the big mistakes you see people making out there, entrepreneurs, infopreneurs, consultants, speakers, in their SEO strategy and their content strategy. 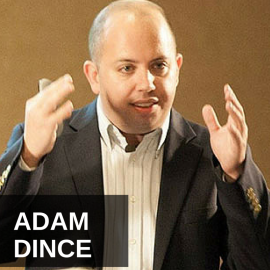 Adam Dince: One of the most interesting things that I’ve noticed and sort of switched over the years is SEO seems to have moved to more towards social media, heavy social media and if you write content you’re gonna do great things. And that seems to sort of be the mantra that you hear whether you go to conferences or the blog posts that you’re reading. And for someone who’s been doing it for a long time whose in the nitty gritty of the data all day long, I can tell you that’s a huge misperception, and it really does lead down a rabbit hole that’s hard to get out of. And I can kind of go into detail why, and when I speak to businesses and small business and enterprise size businesses, I always ask them a question. If you write you amazing content, but so do a hundred other sites that are similar to yours, whose gonna win. Who’s gonna get the best rankings, whose gonna drive the most traffic from search engines. How does Google and Bing figure that out? Google’s blog from Facebook have a difficult time seeing Facebook data. Twitter shut off its API. So how do you win? Is it just a given that if you create the right content and you’re sharing it in social networks that you’re gonna be a winner. And I think that’s the biggest mistake that I see happening these days is there’s. . .and I don’t know if it’s because more social media folks have gotten into SEO, or more content people have gotten into SEO, but it really hasn’t changed that much from its inception of search engine optimization really being about optimizing website and content for search engines. Jason Hartman: Okay well then what is it about? I admit and agree with you that the search engines can’t tell the difference in terms of quality of content. I mean they’ve tried to by key word richness, and key word stuffing, algorithms and things like this. But what is working then? Adam Dince: Sure. Take a step back, I’m not saying that quality content doesn’t matter, it’s very important. Jason Hartman: I guess it matters when someone is actually reading it. We can agree on that right? Jason Hartman: But if they don’t get there to read it, it doesn’t matter does it? Adam Dince: It doesn’t. I use to give this analogy of years ago I brought a GPS system back in the day where they would send you the CDs along with it that you just upload the data from the CDs to your GPS. Jason Hartman: Yeah, and every year you had to buy a new CD with the new data for the new roads and stuff. Adam Dince: Yeah, absolutely, or heaven forbid you try to get somewhere between that year gap right? So there’s a new community that’s been built but it’s not in your GPS system, so how do you find where you’re going. So SEO is very similar to that, and so you brought up a really good point, one you’ve got to build a website that is completely acceptable to search engines, meaning search engines can get to every piece of content that you have, that your code isn’t clunky on the site, meaning search engines don’t have to navigate through a lot of ugly code to get to your content, that you don’t have too much content built in your images, that there’s a lot of text on the page, that you’re doing your keyword research and you’re optimizing that content for the keywords – not stuffing, but optimizing your content for that. And also Google, Bing and Yahoo introduced this thing a couple of years ago called schema markup language which is an enhancement to HTML that help search engines better understand the content of your page. So, all that is really important. Links are still really important to you site. You might hear well all links don’t matter anymore, it sure does. Jason Hartman: Let me just interrupt you for a second. Before you jump into links, I want to just talk to you about the clunky code issue and having your website optimized for the search engine to get through and see the content. I mean the vast majority of the internet is WordPress, that’s the most popular thing obviously. And I remember thesis bragging the thesis theme bragging about how they were more search engine friendly. Is this still true? Are there certain themes in the WordPress world that you’d advise people use to make sure the search engines like them better? Adam Dince: Thesis is a pretty good template or theme for sure. I would say there are a lot of CMS’s out there in general that claim to be the best technical SEO friendly platform or theme. So the things that you want to look for in terms of a theme, is if you’re savvy enough, and you can understand this if you’re working with a web developer, make sure that there’s not a lot of excess java script in the code, so you don’t want to see a lot of on page in code java script. You don’t want to see a lot of on page or inline cascading styles. You really want to look for a theme essentially that’s more content than code. Or allows you to have more content that code. And so I think for the most part most WordPress themes are pretty friendly. I’ve seen a lot worse in terms of out of the box like Drupal and some other various software that’s just not at all SEO friendly out of the box. But WordPress in general seems to be pretty straight forward. Keep that in mind that whatever theme you’re going with, the more bells and whistles that you have on it, so if it’s got moving and flying things, it’s more likely to have extra code that you’re not gonna want on there. So it’s not hard to fix that stuff cause you’ve got a web developer that you’re working with that can sort of take that on page code and call it on to the page from external files. Jason Hartman: Okay good. So moving on to links then. Adam Dince: Sure. Really the formula for SEO hasn’t changed that much. It’s been content plus links equals rankings right? And hopefully rankings then equals clicks and visits to the site in conversions and sales or. . .
Jason Hartman: And when you say links you mean links to your site right? Adam Dince: Right. So in down links from third party sites are extremely important so the way it works essentially is links are kind of a vote of trust in your favor, almost like being back in high school so if you sat with the popular kids back in high school you were considered popular. You sort of inherited that popularity. Where if you sat at the lunch table by yourself, you were kind of the outcast, no one wanted anything to do with you. The same thing goes with search engines. The more authoritative popular relevant sites that link to your site. The more that search engines go, oh, okay so this sites pretty trusted in the community so I’m willing to. . . Google’s saying I’m willing to return this at the top of search results because other websites have vouched for it. So that’s where we’ve talked about earlier, if you and a hundred other websites all have amazing content and Google’s trying to figure out how to rank them in order, it’s really gonna be the links that make that big difference at the end of the day. And so you mentioned earlier about good content and Google’s getting a lot better at understanding good content, with their panda algorithm update or filter that they released a couple of years ago it’s been getting better and better at understanding user experience and how easy is it to use, how hard it is to find things, or are there too many adds all over the place. And so that’s also a factor in it as well. So if you’re creating good content you’re creating a solid user experience, meaning you’re keeping your users in mind when you’re building it. And you’re attracting links, you’re getting links from the right sites and you’re not buying them, you’re not artificially inflating your links. You’re gonna do well in organic search. Jason Hartman: How does Google know if you’re buying them or if the links are from the right sights? I mean certainly links from the popular sites they can understand because they know where the traffic is going. But how do they know if the site is a spammy site or truly related site? I remember years ago we hired an SEO company to do some SEO work for us and we found links to our sites on all sorts of sort of marginal seeming websites. When we found this, because we thought it was black light or at least grey hat, and we thought it would get us downgraded, but I mean how does Google know if you link to my site and your site doesn’t have the best elixir rating in the world, it’s not Wikipedia, it’s not a high authority site necessarily, it’s just an individual site but it’s very relevant maybe, I can’t imagine how the computer could know how the software could tell. Adam Dince: Yeahm their algorithms are pretty smart and one of the things that Google looks at is context, right so, if there’s a website that’s out there and it’s got articles about everything you can imagine, how to make pizza, how to fix a tire, it just looks like a content farm and there are links going out, Google’s gonna say wait a minute, why in the world does this site exists, why is it here and. . .
Jason Hartman: Well let me just take issue with that for a moment, and we don’t need to belabor this that’s just a thought. But you know the website life hacker, right? Or any big blog site whether it be Huffington Post or Gawker, they do a total variety of subjects, you know Business Insider, and there’s all kinds of weird subjects, they cover everything. I mean CNN and Fox covers sports and I don’t know. Adam Dince: Sure I mean Google doesn’t just look at the variety of topics. It looks at sort of the purpose of the website. So if I like Life Hacker, even in eHow, if fact eHow got in trouble a few years ago though, but Google looks first to see okay, if there’s a variety of content, is there’s a purpose for a variety of this content. So is it a life hacker type site, or is it just a website out there creating content just to get bound to out there to draw links. And so once Google finds sites and investigates, cause it does investigate these issues and they look into it, they go through and determine whether or not it’s a quality site. Another way they go about doing it is they say we’ve kind of been suspecting that payday loans to us, sites that have links to their sites that say payday loans in the link text are doing something that unnatural. We’ve been seeing some activity that doesn’t look normal. So what it will do is it will go out through its massive index or database and look for all the links that point out that have payday loan type terms in the link text. And they’ll go out and they’ll try to find those sites and then it’s gonna go look at those sites and say this doesn’t look kosher, oh they’ve got to be selling links, this doesn’t look natural. The link text is too perfect. We know that in a natural sort of distribution that you would have 100% perfect ranker text, you’d have some ranker text that said the website name, or maybe the URL that was hyperlinked, but if every link on the site has a perfect key word in it pointing to the most perfect page on the other site is just not normal. So we’re gonna look at those sites and see what they’re doing. And they’ve gotten really advanced that’s part of the whole penguin update back in 2011 and forward. And it’s been getting smarter and smarter. 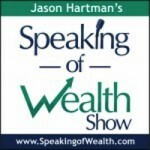 Jason Hartman: Very interesting. Just philosophically Adam, does it bother you as it does me that Google gets to be the arbiter of who gets seen and who doesn’t on the internet. I mean that’s a lot of power and how do you know they’re gonna be fair. Adam Dince: It’s interesting that’s a pain point for me as well, years ago I worked with a very large hotel chain, one of the largest in the world. And this is back in maybe 2008, and we had a great idea for them on how they could build links and do it easily. We said you should create a reservation widget where people can go to your site and they can check to see if you have any availability in your room over a period of time. But if they are a travel blogger or whatever they can copy the code, your widget code, embed it on their webpage and allow people, if you have Mike’s travel blog, people can go to Mike’s travel blog, use your widget and see if there are openings in your hotel room. Oh and, by the way why don’t you put a link in the widget pointing back to your website that has your hotel name or hotel reservation, something like that. And so we said It doesn’t violate Google’s guidelines, because if someone wants to put the link on their site or the widget on their site because it’s a value add, it’s a tool, it’s helpful to their users, and you’re not buying the link, you’re not paying for it, so it pass the sniff test. And then Google came out maybe a few months ago and said hey this is no longer fair, you guys shouldn’t be including links in your widgets anymore. And essentially they’re telling people who to build their websites like you can’t build your website this way anymore. You can’t build your tools this way. And it’s like come on Google really, we get the fact that you don’t want us buying links, you don’t want us doing all these things that are sort of unnaturally making us look better than we should. But if people want to implement the stuff on their own sites because it’s quality, why are you holding that against us? So Google likes to change the rules every once in a while when it’s not really warranted, especially when they start to see that their bottom line from ad revenue is suffering. Let’s figure out a way to hurt folks who are trying to rank organically and move it more towards an ad spend, and there’s some of that that goes on too. So yeah I mean it’s definitely frustrating that Google has the keys and you can do so many things. It is their site and it is free. . .
Jason Hartman: If you ask me the department of justice needs to break Google up, it’s just too big, it’s just too powerful. I did a show with the author of a book called Search and Destroy which was about the evils of Google and I just think they have way too much power. I mean as much as I like their products and I think they’ve done a great job in many ways of cleaning up the internet, I mean I remember the old internet. I mean I remember the old internet back in the late 90s, early 2000 before Google really got a foothold and changed everything, and it was junky, I’ll be the first to admit. But with that comes a price of possibly having way too much power and I think we’re there. Just a philosophical note. Adam Dince: No it’s true. And I think though marketers have given them a lot of power, because again for a long time that was a lot of. . .90% of a company’s strategy was Google. And so we’ve learned to become so reliant on Google and the traffic that it provides, that any time they make a major change that we’re not expecting it really messes us up. So I think if anything this lesson teaches us to really diversify our marketing tactics so don’t just let Google be your soul driver of traffic. You got to use email marketing and display ads, and retargeting, and all of those other things that make up part of your digital marketing. So that way if something happens with Google it doesn’t really mess you up too bad. Jason Hartman: Good advice there. Good advice to diversify and not have all your eggs in the Google basket for sure. What else do you want people to know? Just any great tips in general, any great ideas in general, maybe even what’s coming down the road. Adam Dince: Sure. Well that’s a really great question. If fact Google, Bing and Yahoo are quickly – more so Google – moving towards semantic search. And so they’re really trying to understand what they say sings not string. For example, if you’re Googling the term mug, are you looking for a cup, are you looking for a face, are you looking for a mug shot, right? So what are you looking for? And so Google is better trying to understand the intent of the query as well as just the key word that’s being searched too. They’re also getting better at conversational search, so they know more people are searching using their voice, whether it be through the desktop application or through their mobile phones. So they’re trying to do a better job at addressing voice queries. We know that people search differently when they’re typing as opposed to speaking. So that’s moving very quickly and that’s what the whole hummingbird update a couple of months ago was. And then the other piece of it is Google looking into predictive search, meaning they want to answer your questions before you even ask it. So if you haven’t heard of Google now, you should definitely Google it. If you have an Android phone you probably get some cards that pop up when you’re on your way home that tell you how bad the traffic is. Maybe you get some weather pop ups or maybe if you’ve been using your Google Wallet you get a notification that it’s been a month since you brought your dog food last or something. So Google’s getting better expecting what you’ll be searching for or needing and providing those answers to you beforehand. Jason Hartman: And look at the scariness of that. They will follow. . .That’s basic the pre-crime division in Minority Report. Adam Dince: It really is Orwellian, but they have so much access to our data that it’s easy for them to do all this. Jason Hartman: Yeah, and it’s incredibly convenient so we like it and we hate it at the same time. It’s very interesting. I haven’t seen Google Wallet get any sort of a foothold, I mean is that really out there, are people really using this? Adam Dince: I think some people are. I’m always amazed when I go into a Starbucks and I see someone had the cashier their phone and they swipe it up against. . .I’ve tried Google Wallet I think for a day, and I said I don’t want Google knowing what I’m doing with my money, like they don’t need to know my shopping behavior. But the younger generation, I don’t know what the numbers are in terms of adoption rate, but the younger generation is definitely a lot more trusting in technology I think than we are. So who knows, but it’s really hard to say. But for those who use it, Google is definitely trying to use that data to help you sell you more and give that data to advertisers to help. Jason Hartman: Absolutely. Well Adam give out your website and tell people where they can find you. Adam Dince: Sure, absolutely. You can find. . .if you’re a small business and you’re looking for small business information you can check out Deluxe.com. 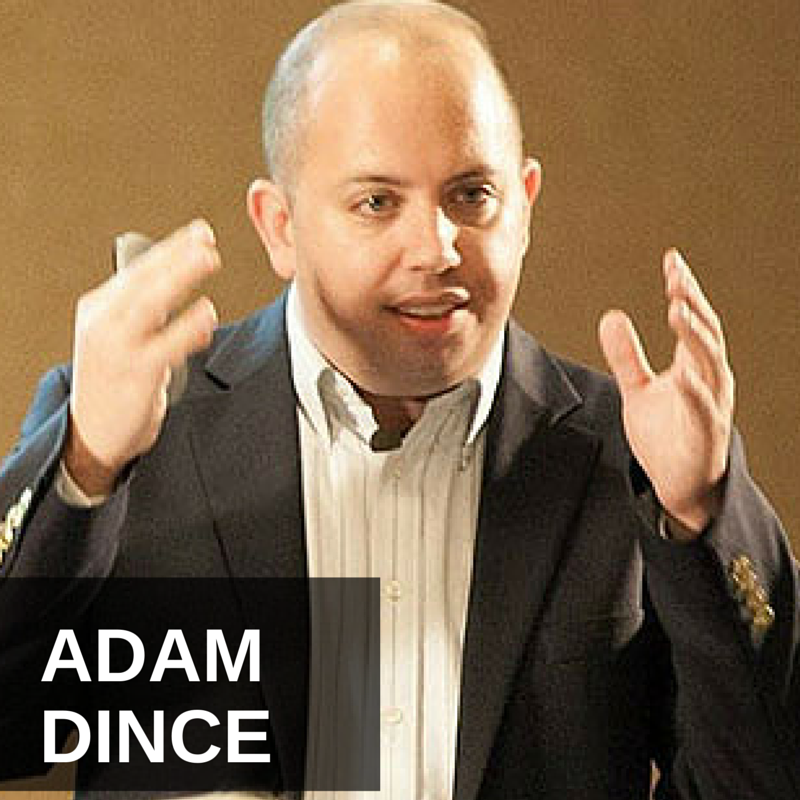 If you’re looking for a great SEO and search in content, related content in social media check out my website at AdamDince.com. There’s a contact page there, if you feel like reaching out, and yeah that’s probably. . .follow me on Twitter at Adam Dince, and that’s the easiest way to get a hold of me for sure. Jason Hartman: Fantastic, well Adam Dince thank you so much for joining us today. Adam Dince: It was a pleasure being with you.